"Give love on Christmas day", there goes a famous line of a Christmas song. Indeed, the season of sharing is just around the corner! On November 5, 2016, The Coffee Bean and Tea Leaf (CBTL) launched the Giving Journal 2017 together with a number of Cebu Bloggers in their Robinsons Galleria branch. This Coffee Company's Giving Journal 2017 reminds us that life is not about what we amass for ourselves, but about how we can share our gifts, talents, and time with others. 1. From October 22 onwards, customers can already begin their Giving Journey as the collecting of stamps for the 2017 Giving Journal commences in all The Coffee Bean & Tea Leaf® stores. 2. Each stamp card consists of 12 circles with corresponding purchased drink assignments. 3. All 12 stamps must be accumulated in one stamp card to claim the journal. 4. A box of CBTL™ capsules earns the customer two stamps, while any CBTL™ Single Serve Beverage System purchase automatically allows a customer to claim the 2017 Giving Journal. 5. Available in 4 colors—rose, purple, gray, and turquoise, the Giving Journal is a useful planner and a medium for generosity where you can begin writing the beautiful story of your own Giving Journey. Unlike other Holiday Promos, CBTL's Giving Journal shares a gift of education to its beneficiary the Real LIFE Foundation since year 2011. By supporting their educational needs, you bring them one step closer to achieving their goals, enabling their dreams to take flight. 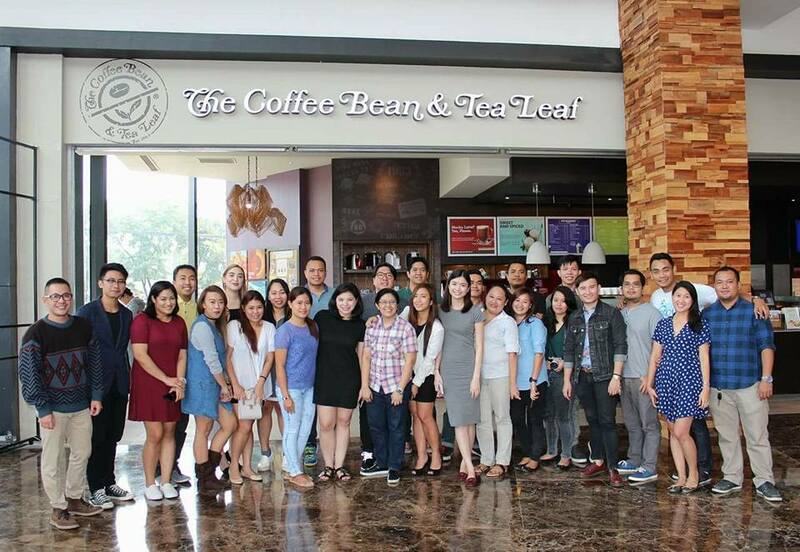 During the Cebu Launch, Cebu Bloggers were requested to personally design CBTL cookies which will be donated to their beneficiary children. And here are our top picks of the customized designs! 11. These Christmas Trees and Snowmen! Simple but cute! 10. How about this butterfly design? 9. Another snowman and Christmas Trees! 8. Waaaaa! Another Christmas Tree and Snowman!!! 7. How about this cutie Minion for Christmas? 6. A hopeful Cookie? Why not! 5. A snowflake with CBTL logo people?! 2. The Cebu Bloggers Society logo and a Christmas wreath? 1. And our top one! Edd's Santa Cookie!!! !